I know, I know, you never know what you are going to get around here. One day its an outfit, another it's how I read magazines and another day its just photos of my current cut. But it is what it is. 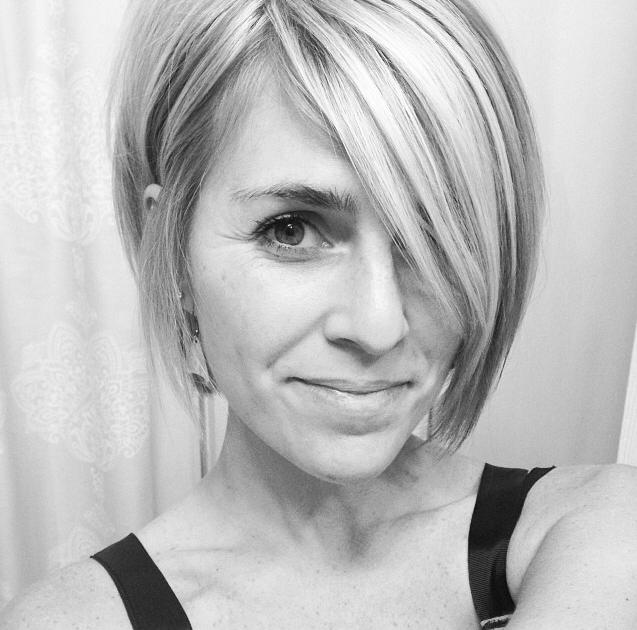 I've had tons of requests for photos of my new cut with my hair straight and not tucked behind my ear. So, I'm here to deliver. I usually do tuck the one side and like it better that way. I may go a little shorter on that side next time I get it trimmed but we'll see. 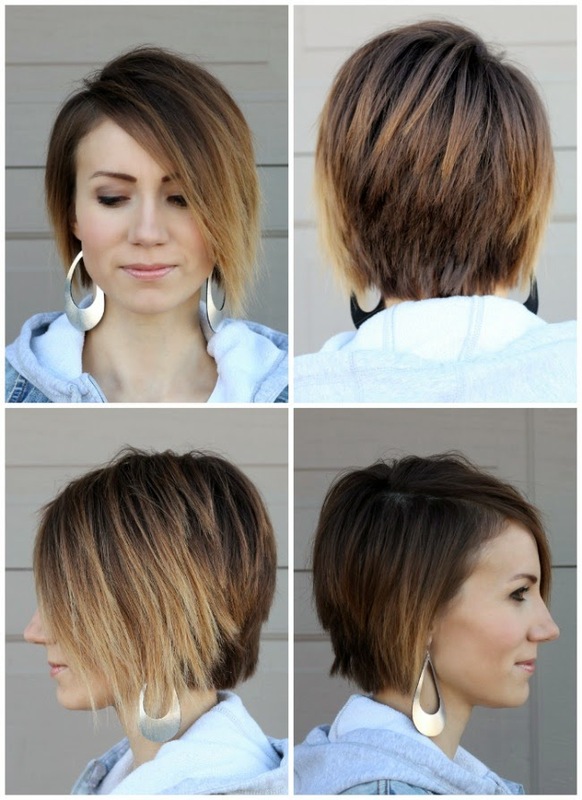 When I went in for a cut these are the photos I showed her that I liked- and then I got my custom Kilee cut. And this was what we came up with! Now that I'm over the initial scare, I think I may go a little shorter next time, but who knows. I feel like it's already grown back a lot in 4 weeks so I'll be back in for a trim soon. I hope that helps those of you that requested these! Thanks so much for making me feel so good about this cut! You are awesome! So spunky and so unique, and it complements your features so well! 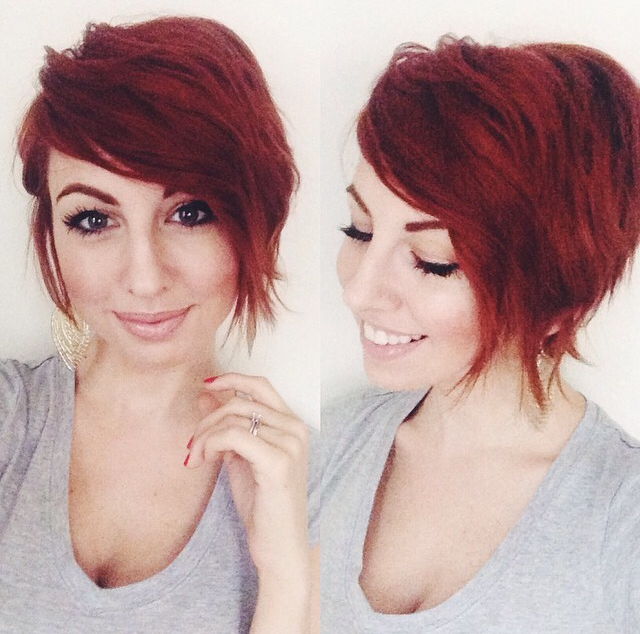 You're making me want to lop off my own hair for a cute pixie. I am especially in love with the first photo inspiration with the woman with black hair. Gorgeous! I hope you have a a wonderful day! 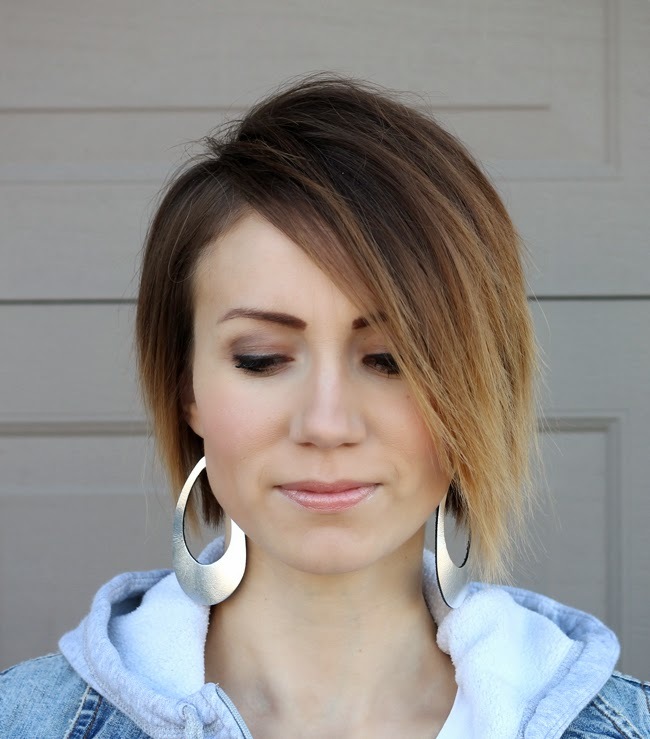 You would look great in any hair style, but this fits you and makes you stand out. You look great! Thank you for the pics! 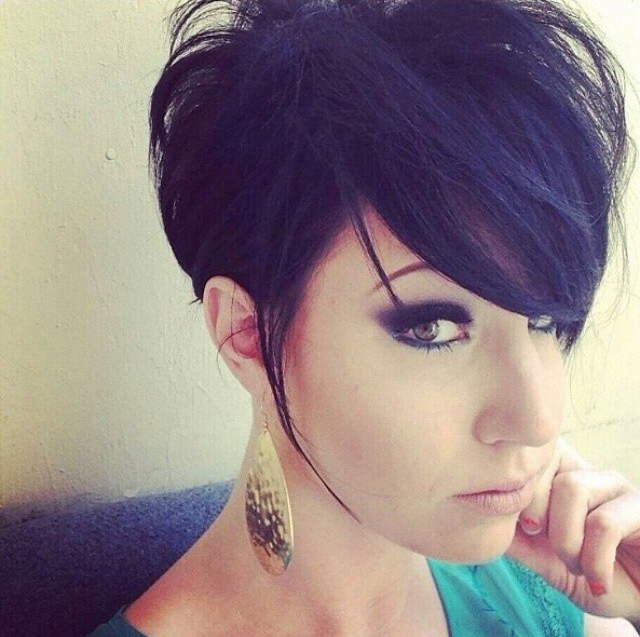 I absolutely LOVE this cut! Love this so much! 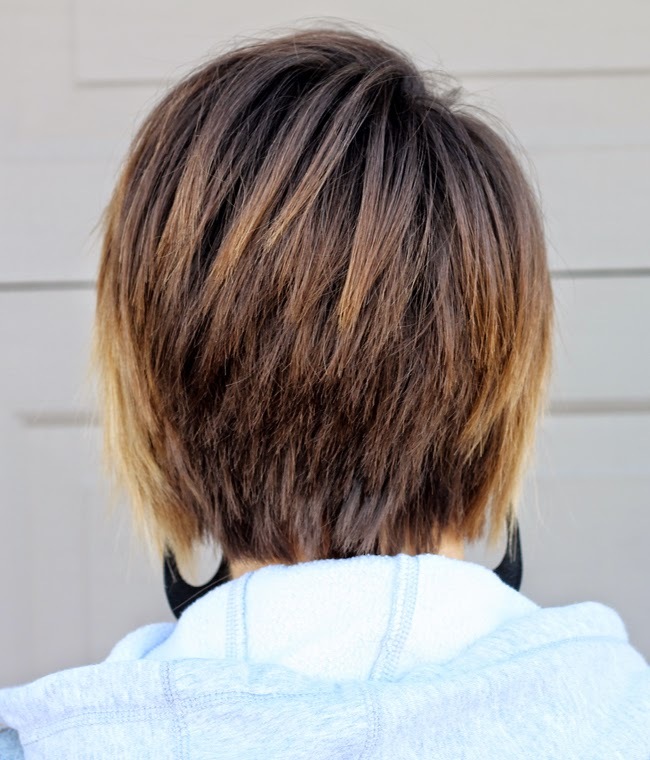 So, are you still coloring your own hair or do you now have your stylist do that? 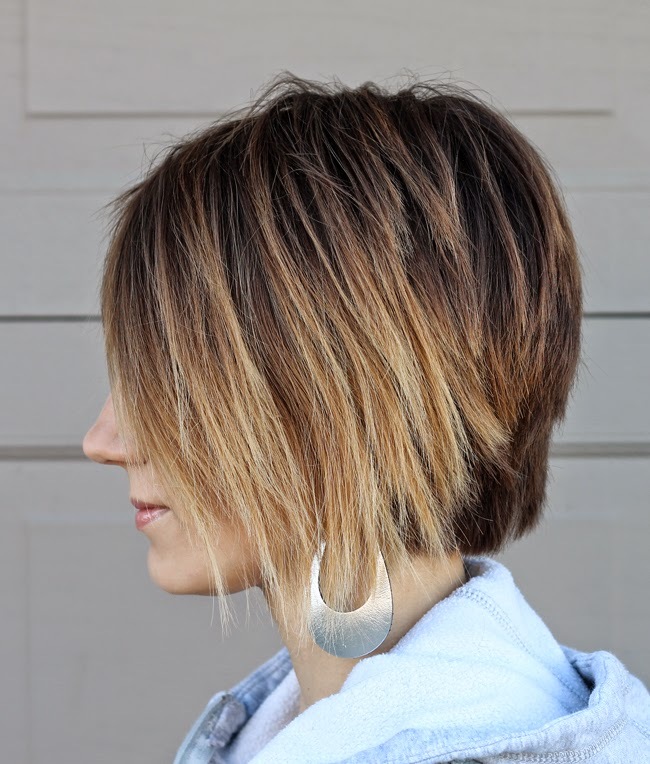 What kind of volumizing products do you use daily? My hair is not that much different from yours but I have trouble getting the lift on the top. Whatevs, I love that you jump around with content because reading about the same crap everyday is mundane and BORING. And you're not boring! 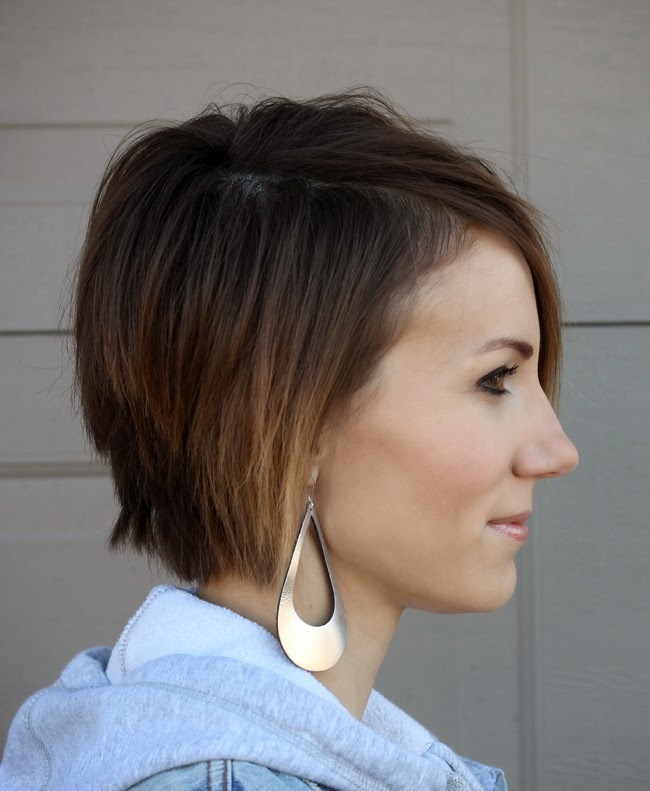 I have that fine, straight hair that is limp and won't hold waves or curls, blah, and I wish I could pull this cut off. Anywho, love the new 'do! I was waiting for you to do a post! Wow your stylist did a damn good job! Just like the inspo pics! Great new cut!! Just wondering where the pictures of the girl with red hair came from. I have wavy/curly hair and am curious what the back of her hair looks like. Thanks! when you dye your roots what semi permanent color do you use>>>? ?